Canada produces 77 percent of the world’s maple syrup. Sixty percent of the world’s polar bear population of 25,000 live in Canada. Canada’s post office receives millions of letters addressed to “Santa Claus, North Pole” each year. It responds to each one as Mrs. Claus. Canada’s lowest recorded temperature of minus 81.4 degrees Fahrenheit (minus 63 Celsius) was recorded in the small village of Snag on Feb. 3, 1947. That’s roughly the same temperature as the surface of Mars! 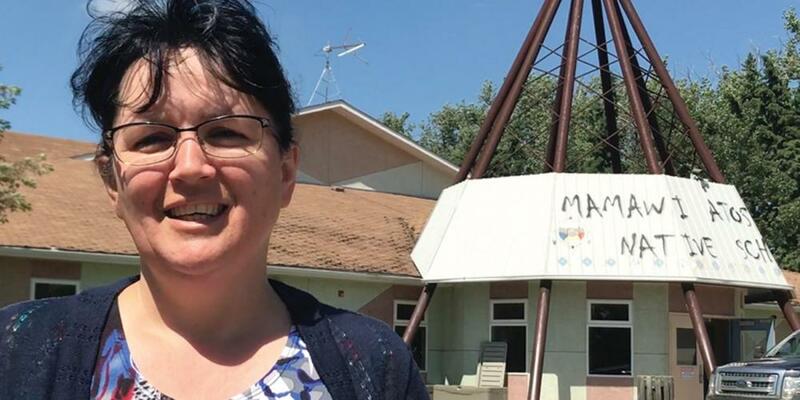 Last week, we read about Gail Wilton, a sixth-grade teacher at a Seventh-day Adventist school for First Nations children in the Canadian province of Alberta. [Find Alberta, Canada, on the map. The school is near the city of Edmonton.] This story happened in another sixth-grade class. Teacher wanted to show the sixth graders a video during Bible class, but she couldn’t get the video to work. Many of the children had never heard about Jesus before they started studying at the Adventist school, and Teacher really wanted them to watch the video about Jesus’ resurrection from the grave. But try as she might, she couldn’t get the video to play. But the video didn’t work. Teacher thought that was a good idea, and 12-year-old *Donovan offered to pray. Donovan and the other children went back to the television and fiddled with the wires some more. They disconnected the cords and put them back in. Teacher silently prayed with all her might for a miracle to happen. Teacher felt so disappointed. She didn’t know what to say. Finally, Donovan broke the silence. “Well, I guess God doesn’t want us to watch that video right now,” he said matter-of-factly. Teacher was surprised! Donovan was right. Teacher had thought that a miracle was just what the children needed to know that God answers prayer. But the children saw things differently. They understood that God had answered their prayer by not performing a miracle. Teacher realized she had made the wrong prayer request. She had wanted God to act when she thought it was the right time, but she should have asked God to act when He thought it was the right time. Teacher’s name is Gail Wilton, and she is the principal of Mamawi Atosketan [pronounced: MAMA-way a-TOSS-key-tan] Native School. Part of this quarter’s Thirteenth Sabbath Offering will help the school grow bigger so it can teach more children—and teachers—about Jesus. Thank you for your mission offering.